Data and information on land are fundamental for enabling smallholder farmers to gain secure access and control over their land, which provides the basis for investing in their operations. 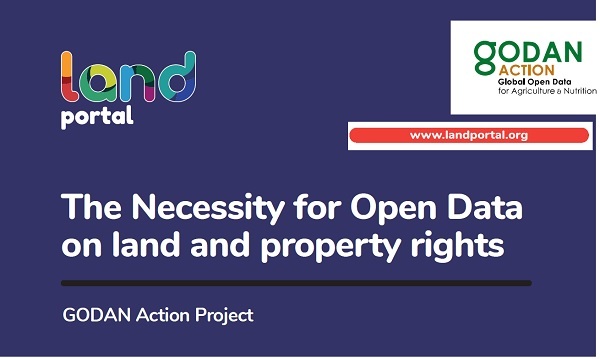 The briefing paper "The Necessity for Open Data on land and property rights" outlines the importance and benefits of increasing the availability and accessibility of land information in support of improved food security and nutrition. build collective bargaining potential among farmers and the organizations that represent them. In this webinar “How open data on land and property rights can improve global food security and nutrition”, Laura Meggiolaro shares the challenges and potential of land-related data for agriculture and nutrition and describes cutting-edge initiatives and their potential to contribute to enhancing food security and nutrition.